﻿ Help me fix my warehouse. As a professional warehouse repairman (that's sort of what I do), I have quite a bit of experience with warehouse problems. And if your warehouse isn't running the way it should, I've got some good news and some bad news for you. The bad news is you probably have a whole bunch of things wrong with your warehouse. I can't remember ever evaluating a warehouse where there were only one or two things that needed to be changed. The good news is most warehouse problems are actually quite easy to fix, or at least improve to the point where they are acceptable. Even better news is you probably don't have to invest in expensive equipment or systems to implement most of these improvements. Symptoms of a warehouse that needs help. Inability to ship on time. So what's the source of all these problems? The ugly truth is many business owners and managers blame these problems on their workforce. They may not say it out loud in an open meeting—though some do—but that's what they’re thinking. It's just simple deductive reasoning. The workers aren't meeting the expectations of management, they don't do what they're supposed to do, they're making too many mistakes, they're not getting the work done, they can't seem to prioritize their work or make the right decisions, and they're just plain sloppy. Yes, it's the stupid-and-lazy-workforce excuse. I'm not going to tell you your workforce is or isn't stupid and lazy, maybe they are maybe they aren't. But it doesn't really matter because you can still run an effective warehouse operation even with a stupid and lazy workforce. Stupid can be trained, and being lazy doesn’t mean someone is incapable of working hard, it just means working hard isn’t their default setting. You just need to provide your workforce with the proper tools and motivation. The Solution is Analysis, Processes, Procedures, Tools, Training, and Accountability. Before you start rolling your eyes, this truly is where most warehouses come up short. I mean, did you really think there was going to be one quick little tip here that would solve all your problems? As I said previously, you probably have a bunch of issues—this is how you fix your warehouse. It all starts with the process. In my experience, warehouse processes rarely get the attention they deserve. The common perception that "it ain't rocket science"—while technically true—seriously understates the complexity of warehouse operations. Take order picking for example. While at a high level it may seem there are just a handful of methods for picking orders, when you get into the details there are many variations for each higher-level method, and many technologies and combinations of technologies that can be applied. Even when you look at businesses that are in the same industry, each will have characteristics that are unique enough to justify variations on the order-picking process. If you don't take the time to analyze your operation and explore various options, you're unlikely to get a highly effective process. This isn't to say you need to spend months or years analyzing data and researching methods in an attempt to find the perfect solution. As I said before, there are many potential variations of processes and technologies available, so finding the absolute best solution is unlikely anyway. You just need a good workable solution. So while I'll caution you to not overcomplicate things and spend so much time analyzing and exploring options that you never get around to implementing anything, I also need to caution you to not oversimplify the process either. In my experience, the amount of time and effort you need to put into analyzing and exploring options is probably significantly more time and effort than you have ever put into this in the past. Seriously, how much time have you really spent analyzing your warehouse processes in the past? The high-level decisions are only the first step. Once you've made your big process decisions (the higher-level methods), you need to realize the success of your process lies in the details. So if the first mistake most businesses make related to defining processes is oversimplifying the analysis and exploration of options, the second mistake would be failing to work through the details of the process. Working through the details means defining EXACTLY how the process works. This means going through all steps of all variations that may occur, and making sure the process works effectively with all variations. When I say "works effectively", what I mean is a process that is built to help your workforce be productive, accurate, and meet safety and quality standards. If you do this right, it means your stupid and lazy employees won't have to use their poor judgment to perform their job. That's right folks, what we're doing here is stupid-proofing your processes. And since stupid acts are not exclusive to stupid people, stupid-proofing is a good idea for any process and any workforce. To understand what I mean by getting the details right, I'll use an example of documenting a process/procedure for changing a flat tire on your car. I realize this seems completely unrelated to warehouse processes, but the point I’m making is about defining effective processes and procedures. An “it-ain’t-rocket-science” procedure may look something like this. Retrieve jack and spare tire. This type of procedure assumes the remaining details are “common sense” and therefore the person will figure them out on their own. Very similar to how warehouse procedures are often documented—if at all. The problem is, this type of procedure leaves a whole lot of room for stupid. So what kind of details are missing? I’m not going to go through all of them, but here are some examples of what you find when you spend a little more time analyzing your processes. Removing and replacing lug nuts need a lot more detail. First, you always want to break the lug nuts loose while the vehicle is still on the ground. That’s because it often requires a lot of force to break the lug nuts loose, and depending on the setup of the specific vehicle and which wheel it is, the wheel may be free to spin once it is raised. In addition, you don’t want to be applying all that force while the vehicle is balanced on a jack (you could roll it off the jack). Plus, if you can't manage to break the lug nuts loose, there's no point in jacking up the car anyway. And when it comes to replacing the lug nuts, you need to know to start by hand tightening, then gradually tighten them down in a criss-cross/star pattern (there is a proper sequence for tightening wheel lug nuts, and you may need to provide a diagram or more detail explaining this depending on the audience for the procedure). A proper procedure for tightening wheel lug nuts will have torque settings for the lug nuts, but that doesn’t help the typical motorist changing a tire on the side of the road since they probably don’t have a torque wrench with them. Therefore, you would need to try to explain what “tight enough” means, and then recommend they have the lug nuts properly torqued as soon as they can get access to a torque wrench or mechanic. Whoa, that was just the lug nuts. And we didn’t even cover lefty-loosey and righty-tighty (you may or may not cover this depending on the audience for the procedure). Another stupid-proofing step would be to put the lug nuts in the hub cap (if available) or other container when they remove them to prevent losing them. I can assure you that in the rush and frustration of having to change a flat tire on the side of the road, many lug nuts have been lost. So what else? Safety is a big issue here so you absolutely need to cover how to safely jack up a vehicle. This not only includes the placement of the jack and proper use, but also how to prevent the vehicle from moving, and under what conditions you should or should not attempt to jack up the vehicle. A soft shoulder or an incline is a whole lot different than a nice flat piece of concrete. In addition, if you are on a busy highway and the flat is on the traffic side of the vehicle, you probably shouldn’t even attempt to change it. In fact, if this is a procedure for drivers for a business you would want to be very specific under which conditions they should or should not attempt to change a flat. In many businesses, the procedure would be a very simple DO NOT LEAVE THE VEHICLE OR ATTEMPT TO CHANGE THE FLAT YOURSELF. DRIVE THE VEHICLE SAFELY OUT OF TRAFFIC, STAY IN THE VEHICLE AND CALL ROADSIDE ASSISTANCE. Other examples of details you may want to include may be things like explaining where they will find the jack and spare tire, how to remove them, and a requirement to have them put them back and secure them before driving off. The latter would be very typical of the way you should document a procedure for a business. This is a good example of stupid-proofing. What you’re doing here is going through the process, and thinking through what may happen if you don’t have specific details included. So, if your process ends when they put the wheel back on the car and lower it, you now have the flat tire, jack, and lug wrench laying on the side of the road. What could go wrong? They could leave them there. They could just throw them into the car and have them bouncing and rolling around as they drive, potentially interfering with their driving and causing an accident. If the procedure requires they put them where they belong and secure them, and then you have a checklist or some other verification step, you have eliminated these potential problems. Or how about checking the spare to make sure it has air in it before you waste your time changing the tire? Or better yet, having a maintenance process to make sure the spare does have air in it. As far as equipment goes, we obviously needed a spare tire (with air in it), a jack, and a tool to remove the lug nuts. But if you look at the overall process and the circumstances under which we would likely be changing a tire, we may decide there are some other things that would help. Gloves and coveralls, rain gear, maybe an old blanket or tarp to throw on the ground, a flashlight, road flares or reflectors, a cell phone., a phone number for roadside assistance. You may also find the equipment that came with your car doesn’t quite meet your needs. For example, if you’re struggling to loosen the lug nuts with the stock lug wrench you may want to get something a little better. I think you can see how some initial planning and preparation can make the tire-changing process work much better. And while some of you may be thinking the process for changing a flat tire doesn’t really apply to warehouse operations, the process of evaluating the tire-changing process is very much the same as you would follow for other processes. You can see how our tire-changing process now has significantly more detail than the original one, and it could still use some more work. Your warehouse processes will likely be similar, if you end up with a very basic process with little detail, you probably didn't do it right. This doesn’t mean you need every minute detail in a procedure, but you do need the ones that matter. In the warehouse, you need to evaluate how information is provided to your workers. This could be documents like picking documents or vendor packing slips, computer screens used to receive, ship, and move product, or other technologies such as pick-to-light, voice systems, portable computers. Each of these should be evaluated to make sure they meet the needs of the process. I'm not talking about just providing the basic information to accomplish a task. But rather, are you providing the information in a way that lends itself to an efficient and accurate process? If your picking documents are cluttered with information the order picker really doesn’t need, try to either remove it from the document or structure and format the document in a way that makes the needed information stand out. If your inquiry and transactional screens on desktop or portable computers require unnecessary screen changes, mouse clicks, or repeatedly entering of information that could be defaulted, fix it. Also, when it comes to providing information to your workforce, don’t set a process that depends on your workforce “knowing” a lot of specific requirements for specific items, specific customers, etc. For example, if you expect your workers to know that customer ABC’s orders should never ship via LTL, or that product XYZ has an old version and a new version and that a certain group of customers cannot be shipped the old version, you are probably going to have problems. This is the type of information you should be using your systems to ensure these special requirements are executed correctly through notifications on documents or screens. Depending on your employees to remember all this stuff will slow down the process because they have to be actively looking for all of these of oddball scenarios. In addition, it will also likely lead to errors, not only because they will occasionally miss some of these special requirements, but also because their need to watch for these will take their focus off of the other things. Then you need to evaluate the physical and mental steps required to accomplish the task. Sometimes something as simple as enforcing a specific sequence of steps (rather than allowing the worker to decide the sequence) can make the difference between a good process and a bad one. Remember how important it was to break the lug nuts loose while the tire was still on the ground. You also need to evaluate how your workers provide information back to you. Being very specific about how forms are filled out and how data is entered can provide greater accuracy and productivity. You'd be surprised how you can often improve the accuracy of the physical process simply about being very specific about when and how paperwork is filled out. For example, if order pickers need to mark the lines on the picking document as they pick them, I will specify exactly how they are to do this. The details would likely include instructions as to whether they should use a check mark or circle something, exactly where the check mark goes or what gets circled, at what point in the process they place the check mark or circle, and what color pen they use. While this may sound like I’m being overly restrictive, you need to realize that none of this causes any extra work. It is just requiring the workers to follow a process that helps them be more productive and accurate. If you’re not specific, an order picker may pick the whole order, then just circle everything, or circle something before they pick it. Either of these are more likely to result in missed picks. In addition, if you require them to circle the “ship quantity” on the document, it forces them to focus on the ship quantity. If left up to the worker, they may choose to circle something else like the line-item number, which could potentially cause them to pick that as the quantity just because they are looking at it. The pen color and the circles-versus-checks details in the procedure allows you to have different ways to mark the document for different processes. The order picker would circle the quantity, and an order checker may use a check mark with a different color pen. This level of specificity allows you to look at the document at any point in the process (or later) and know exactly what was done. Now before you go setting this as part of your picking procedure, make sure it is right for your environment. I’ve had operations that used paper-based order picking where I’ve use a similar documentation process to this, and others where I did not require the order pickers to write anything on the picking document. It all comes down to the right process for a specific task in a specific environment. Productive processes need to flow. And when it comes to productivity, find ways to eliminate anything that interrupts the workflow. It's hard for a worker to maintain productivity when he is sent to pick product from an empty location, has to set a receipt aside and wait on approval from purchasing, or has to wait for someone to finish using a piece of equipment he needs. Not only does the interruption waste the time related to the interruption itself, but also reduces overall productivity because workers tend to lose momentum with each interruption. Many warehouses are using the wrong equipment or don’t have enough of the right equipment. But before you go into we-can’t-afford-that mode, let me jump right in and say we’re probably not talking about the real expensive stuff here. It’s often a lack of proper lower-cost equipment that slows down the process, which leads me to my next point. The tools and equipment used are actually part of the process, so they should be covered when you define the details of the process itself. That will help to make sure you are comprehensive in evaluating your equipment. Check out my article Warehouse Optimization . . . The Little Things for some tips on tools. Space is an important part of many warehouse processes, and many of you just don’t have enough of it. A warehouse is used for both storage and movement (processing) of inventory. The processing areas of the warehouse are far too often shortchanged in favor of storage. Shipping and receiving staging and processing areas need space in order to run efficiently. And the storage areas themselves are also processing areas since you need to access these areas to pick orders and put away stock. When you don’t have adequate space for processing and storage, productivity goes down, damage goes up, safety problems increase, errors increase. The effective capacity of your warehouse is probably less than you think it is (check out my article on Warehouse Capacity) also check out my book on Saving Warehouse Space). I’m not saying you need to move to a bigger building or add on to your building (though some of you may), but you need to do something. 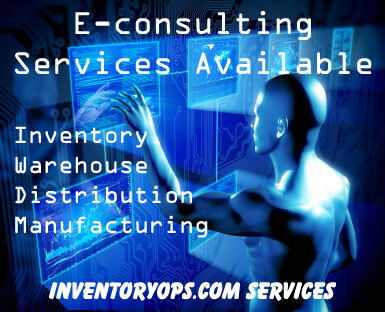 Options may include changing storage configurations and equipment, getting rid of stuff that you don’t need in the warehouse, or reviewing your ordering methods, vendor requirements, etc. to see if you can reduce your inventory levels. Handing out a written procedure does not constitute training. Training means you do everything necessary to make sure the workforce understands the policies and procedures. Depending on the specific task, this may mean classroom training, physical demonstration of the task, observation of the workers performing the task, and written tests. Accountability means you will hold people accountable for following the procedure. This is not optional, you do not get to pick and choose which employees you hold accountable or under what conditions you may or may not hold people accountable. If an employee is observed performing a task in a way that conflicts with the formal procedure, an action needs to be taken to correct this. And, of course, you should have a formal process in place for this. When I ask clients how a specific task is performed, the answer almost always starts with “they’re supposed to”, and the tone used implies that there is likely a big difference between what is “supposed” to be done and what is actually done. You cannot run an effective operation this way. The real process is what actually happens in your operation, what “they’re supposed to do” is just theory. It’s up to you to make sure reality matches theory. See my article on Warehouse Supervision for more tips. So I guess I'm saying laziness may very well be the source of your warehouse problems. Laziness on the part of management that has failed to provide the workforce with adequate processes, procedures, tools, training, and accountability. Ouch!